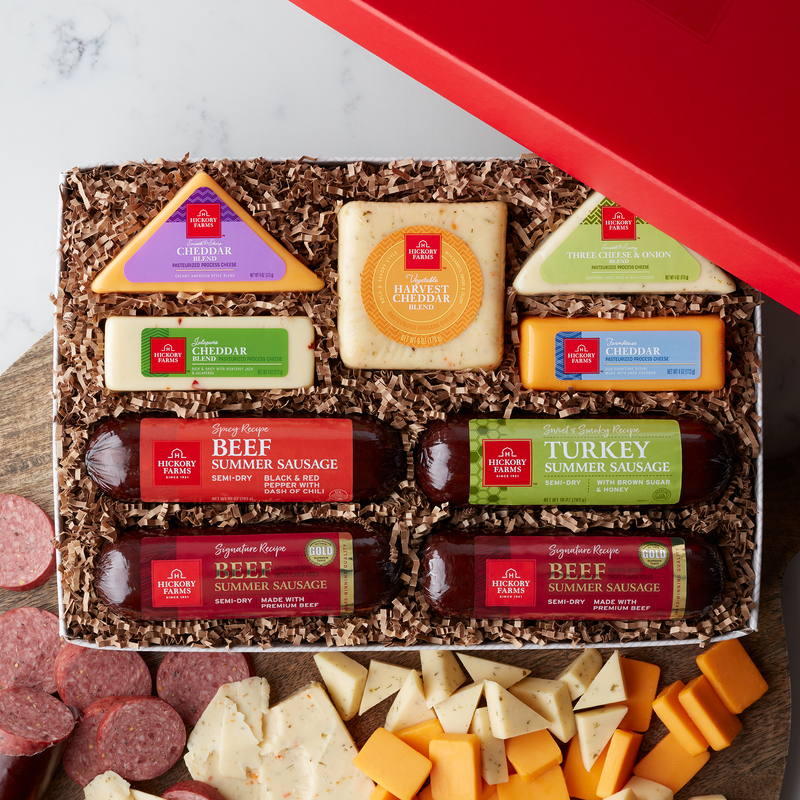 There's plenty of savory flavors to love in this meat and cheese gift! 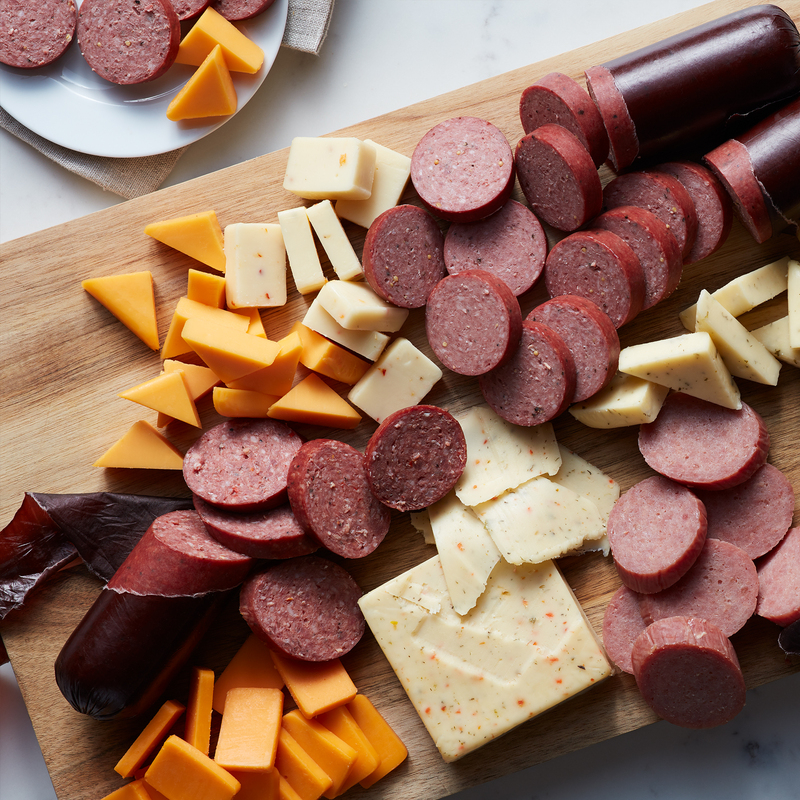 Signature Beef, Spicy Beef, and Sweet & Smoky Turkey Summer Sausages pair deliciously with Harvest Cheddar Blend, Farmhouse Cheddar, Jalapeño Cheddar Blend, Three Cheese & Onion Blend, and Smooth & Sharp Cheddar Blend cheeses for a wide variety of flavor. 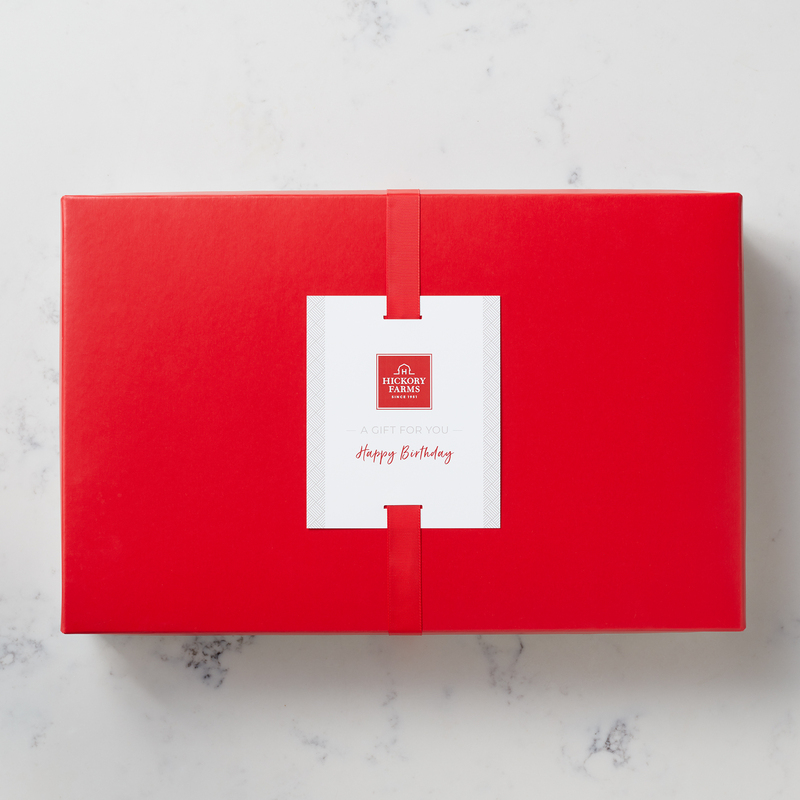 And because it’s gluten free, this cheese and sausage gift makes a great pick that almost anyone can enjoy!